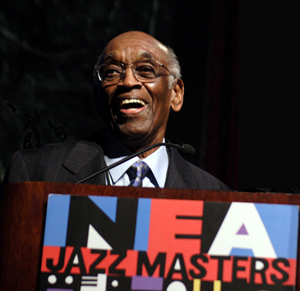 An induction into the International Jazz Hall of Fame (1997) and a Lifetime Achievement Award from the Los Angeles Jazz Society were among the many honors Levy received during his career. His client roster read like a veritable who’s who of jazz and included Cannonball Adderley, Betty Carter, Randy Crawford, Roberta Flack, Herbie Hancock, Shirley Horn, Freddie Hubbard, Ahmad Jamal, Abbey Lincoln, Ramsey Lewis, Herbie Mann, Les McCann, Wes Montgomery, George Shearing, Dakota Staton, Stanley Turrentine, Joe Williams, and Nancy Wilson, who remains a John Levy Enterprises client to this day. 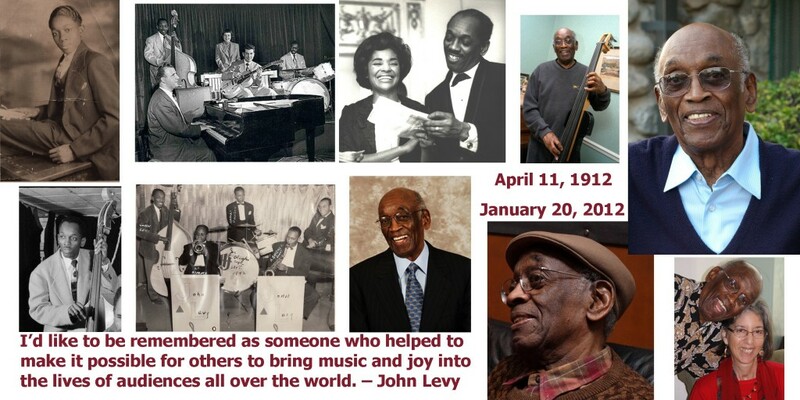 John Levy was born in New Orleans on April 11, 1912. When he was a boy, his teacher urged him to get a job in the Post Office so he would have security in life. He didn’t listen. He became known internationally as one of the top jazz managers in the world. As a personal manager who throughout the course of his career managed more than eighty-five artists, Levy made millions of dollars for his clients, who have risen from sometimes-total anonymity to the heights of success. Like many Southern black children of his era, John Levy saw his formal education end before it had barely begun. Yet his astonishing business acumen won the respect of people at every level of the music industry—from the struggling artists to the corporate brass of the recording giants. Even now there are few places in the world where a young person can learn the intricacies of personal management. In Levy’s day there were none. John’s university was the street parades in 1920s New Orleans, and the jazz musicians riding on the floats; it was the Savoy Ballroom in Chicago, and Clarence Black’s house band; and the sound of Duke Ellington and the Glenn Miller bands; and Benny Goodman at the Sherman Hotel and Fletcher Henderson at the Grand Terrace. He is survived by his wife Devra Hall Levy of Altadena, CA, his son Michael Levy and daughter Pamela McRae both of Youngstown, OH, daughters Samara Levy of San Diego, CA, and Jole Levy of New York, NY, fourteen grandchildren, and a host of great-grandchildren. Here is where you will find the memories and messages that people had already begun to share with John in anticipation of his 100th birthday. We will post them all here in an ongoing celebration of John’s life.